The inaugural Year 6 Trivia Night took place on Friday 23rd June in the school hall. Over 100 year 6 students attended across 15 teams. 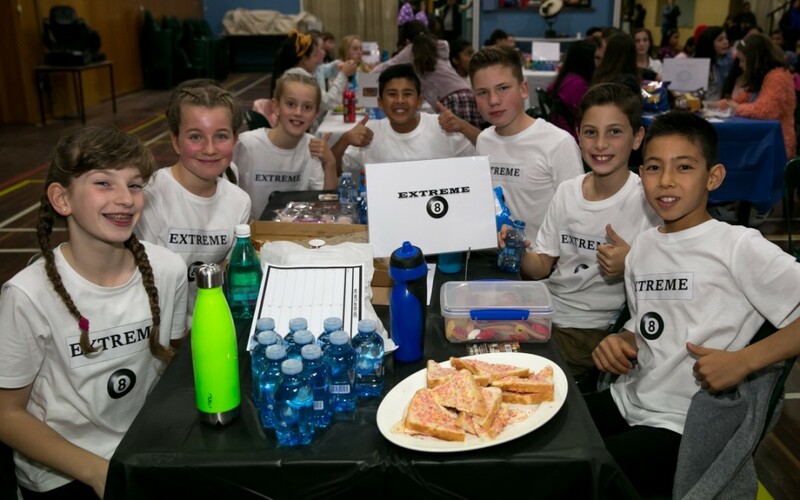 For many it was their first ever trivia night and you could feel the excitement in the air as the students eagerly anticipated what the night had in store. There were 6 interactive rounds where teams were asked to call upon their knowledge of music, movies, sport, geography and much, much more to see who would be crowned the first ever OSPS Year 6 Trivia Night champions. All teams well and truly embraced the spirit of the night with Turtle Squad narrowly coming away as victors. There were also many entertaining games throughout the night – non better than the timeless air guitar competition, which was a massive hit! We also had Cathy Middleton taking photos of students in the ‘Instagram Window’ and using the props and dress ups on offer. To top it all off, our resident DJs, Mr Rowe and Mr Eykman were spinning some of the latest tracks as students took to the dance floor for after party to round out the night. It was undeniably a resounding success, with money raised allowing every student in Year 6 to receive a Peter Pan Jnr production t-shirt free of charge. Everyone in attendance had a fantastic night (teachers included!). A special mention must go out to Carlyn Backers and Joe Megas for all their tireless work in the weeks and months leading up to the event. The night would not have been possible without you.